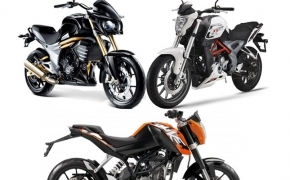 Looks and design: I must say both the motorcycles look very appealing from almost every angle, and is very hard to pick a winner in terms of design and style. 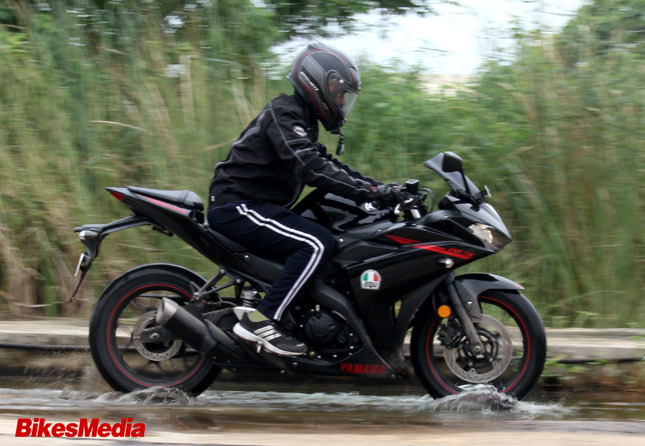 The Yamaha R3 has a more predator like look where the Tornado has a peppy look. 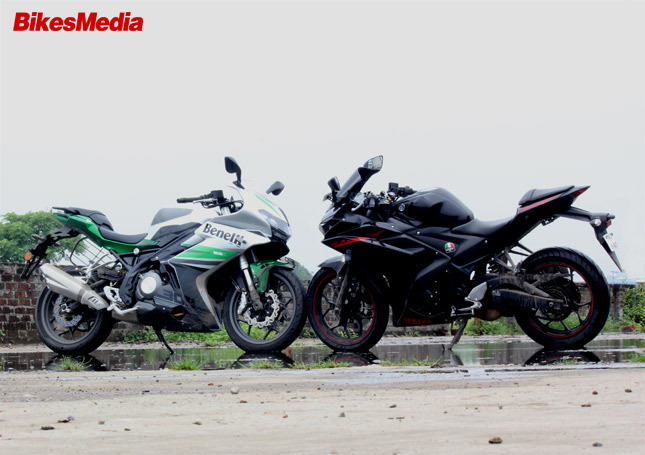 Both the motorcycles get a dual split headlamp but the Tornado gets a slight edge over the R3 because of its LED DRLs. The indicators on the R3 are bulky where they are very compact and sleek on the Tornado. 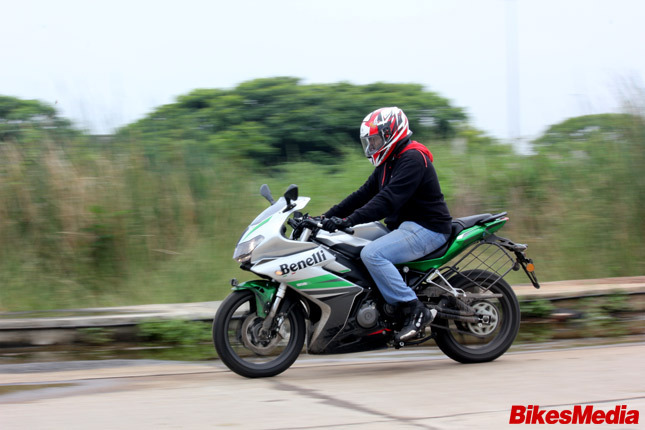 The rear view mirrors are far better on the R3 when it comes to the visibility factor. 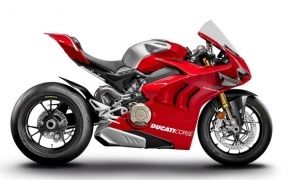 The Tornado has its trellis frame exposed on the side profile, but I personally feel that the R3 has a more appealing side profile compared to the Tornado 302R. 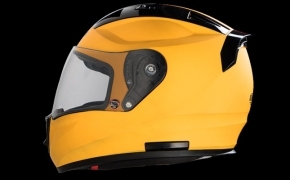 The R3 has a sharper design which would let it cut through the air resistance a little more easier than the Tornado 302R. The Tornado 302R gets an exhaust with two outlet ports and sounds out of the world when you ride it. 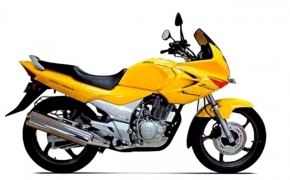 The Tornado 302R also gets a grab rail for the pillion which the R3 lacks. 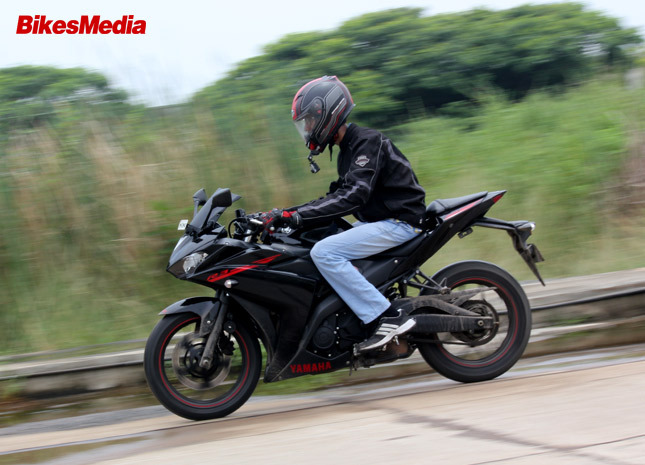 The overall fit and finish is better on the YZF-R3. 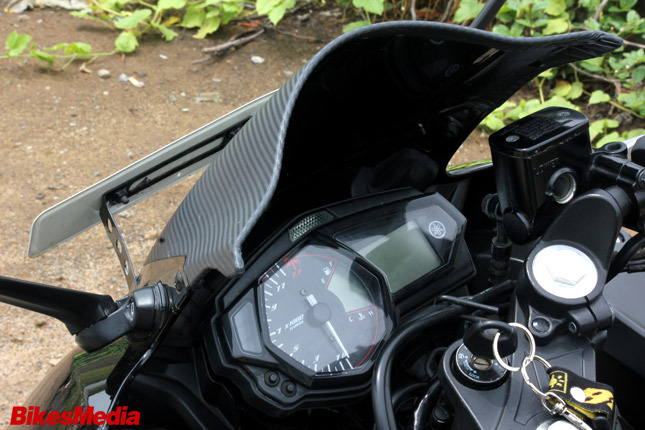 Instrument cluster and Switchgear: Both the motorcycles get a very dated Digit-analogue instrument cluster. 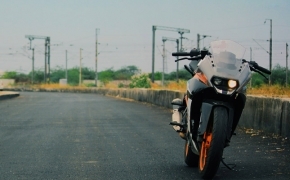 Both of them lack the features the motorcycles like the KTM Duke 390 has on offer. I feel the Tacho needle on the Tornado has a small lag to it, maybe it was a defect with the bike that we received. 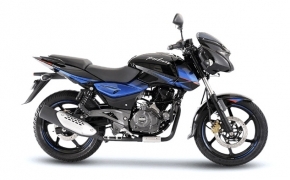 Both the motorcycles get 2 Trip meters, Speedometer, Tell tale lights and gear position indicator. The Tornado comes featured with hazard lights on it. 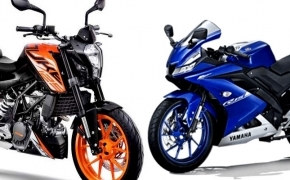 Both the motorcycles have premium quality materials used on the switchgear. The buttons feel nice and soft. 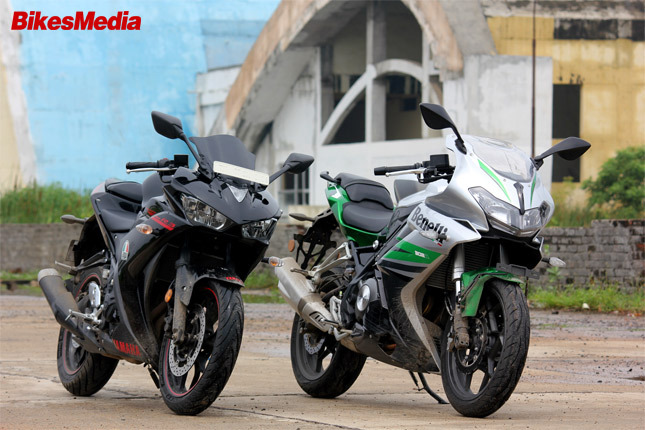 Ergonomics: Both the motorcycles are designed to solve the purpose of a sports tourer. 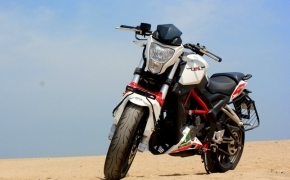 The R3 offers a little more sporty riding position, where as the Benelli 302R gets a little more relaxed position. The seats on the Tornado felt extremely soft when it was compared to the R3. I felt the 302R was easier to ride on the city roads. The comfort for the pillion especially was really good on the Tornado. But once you wanna burst open the throttle, you will feel that the Tornado is no where close to ergonomics that the R3 offers. 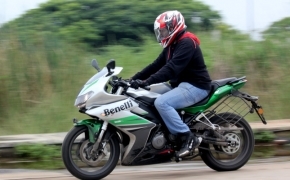 You will feel a lot of difference in the riding position when you crouch down. 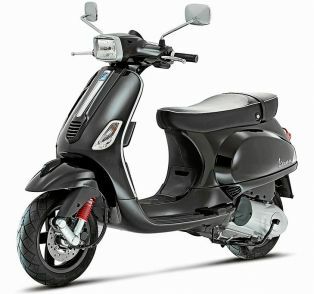 But the R3 wouldn't be a very pleasant bike to ride in the city. 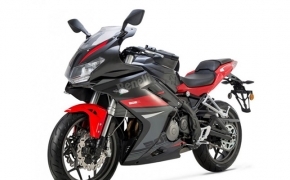 Engine and specification: The Yamaha YZF-R3 is powered by a 321cc, four stroke twin cylinder engine that produces 42 BHP at 10,750 RPM and a maximum torque of 29.6 Nm at 9,000 RPM. Whereas the Tornado 302R is powered by a 300cc four stroke twin cylinder mill that produces 38.26 BHP at 11,000 RPM and a maximum torque of 26.56 Nm at 10,000 RPM. I don't think the Tornado can get anywhere close to the initial power, agility and quickness of the R3. Open the throttle and you feel that the R3 has juice in almost every powerband. It just pulls so much more seemingly and effortlessly, while the Tornado 302R feels like a sloth upto the 8000RPM. But I am sure that the Tornado will catch up with the R3 on a long run basis and not on a short one. Both the machines did not show much signs of heating, it was a bit lesser on the Tornado though. 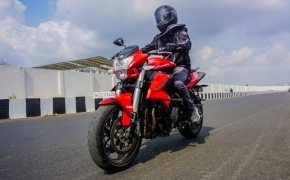 The gearing was far better on the R3, they felt more apt and precise, something that I love about Yamaha is the quality of engine braking it has during down-shifts, the motorcycle actually learns the way you down shift very quickly. The Tornado did have throttle lag at many places. 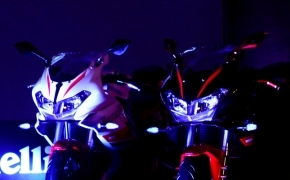 Both the motorcycles produced vibrations but were minimal and negligible. The R3 deserves a hard off for the ride quality it provides. 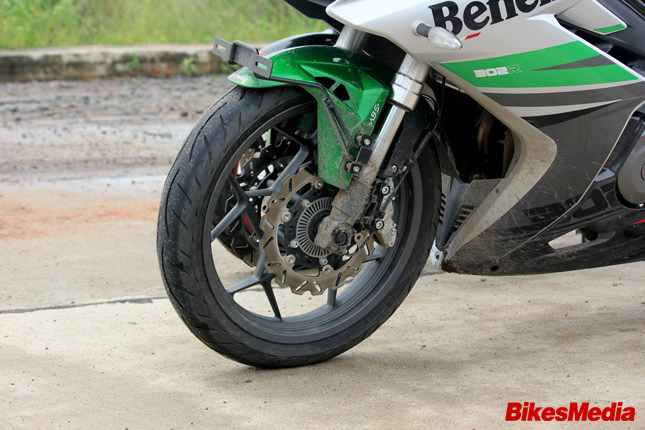 Braking and suspension: This is the major department where the R3 loses out on, it lacks the ABS and the suspension that the Tornado 302 offers. The Tornado gets a dual floating disc up front and a single disc at the rear, the Tornado gets ABS with a button so that it can be switched on or off. The R3 gets only a single 298mm disc in the front and a 220mm disc at the rear. Even though the R3 lacks ABS, the Tornado cannot beat the R3 in terms of built quality, power and engine refinement. So the winner of this shoot out is R3 and the Undertaker. 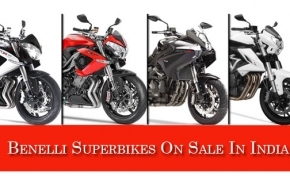 The Benelli TNT600i is one of the highest selling 600cc motorcycles in our nation simply because the inline 4 is placed at an affordable price range that most can afford. 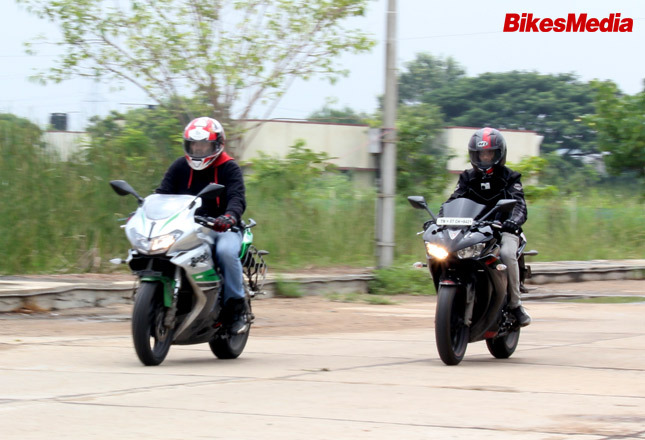 We had the TNT600i ABS for a whole day, let's find out how the motorcycle played its game. 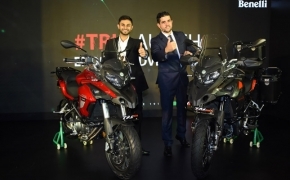 The TNT 300 is an entry-level performance motorcycle that Benelli offers to the Indian market, and it has surely grabbed the attention of a lot of youngsters simply because it looks neat and has an amazing exhaust note.